Love the articles on Houzz this week on urban chicken-ing! Check them out! 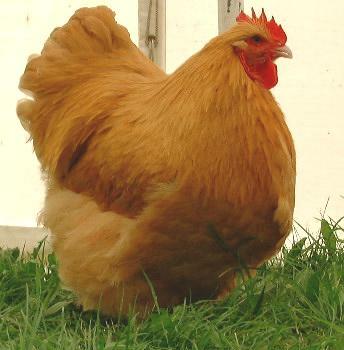 I normally do not “adopt” hens that are offered to us, but because I wanted a full sized, laying hen to have at an upcoming Home and Garden Show, when I was offered 2 Buff Orpington (or mostly Buff Orpington hens, as they turned out to be) I jumped at the chance to have them. The girls, named Flossie and Arletta, turned out to be not just full sized, but also very gentle hens having spent their lives in a small yard with a calm surrounding and doting family. 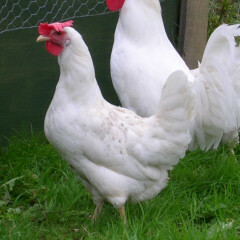 Because I needed 2 hens for a special family, I knew I would be re-homing Arletta and Flossie after the show where they could live out their lives being well loved. As luck would have it, the 2 hens had been on a commercial grain feed diet all of their life. Because I so believe in our grains and the importance of a milled, organic, non GMO grain vs. a processed product, I decided to do a comparison on their eggs over a 2 week period of time. The two hens both laid eggs the day they arrived at our home, one a dark brown egg and one a light brown egg. We cracked and ate the darker egg (which held a pale yoked egg) and saved the other for our comparison. Because hens lay the same color egg all of their life, and because the 2 eggs were so different in color, I knew I could compare the same hen’s egg 2 weeks later. The following morning, Flossie and Arletta had a change of diet to our non-GMO grain. The first thing I noticed with the hens was a noticeable change in their “poo” which had been a little gooey, for lack of a better description. Their poo very quickly changed to a tighter consistency, making their “poo” no longer “goo” on our milled grain vs. their former diet of processed pellets. Two weeks quickly passed and before we knew it, it was the week of the show and I knew I would have to time my egg consumption carefully in order to get a comparable egg for our experiment. For several days I had no light colored egg laid, only a single darker one and I thought may have missed my opportunity to compare; but the girls had another plan. The day of the show, exactly 2 weeks after I had “adopted” our 2 lovely hens, we left for the show. As if the girls knew I needed a going away gift that morning, they both laid for me an egg in their coop, one dark and the other light. I quickly placed the lighter egg in the frig to compare to the egg saved prior to their diet change and we left for the show. When I had returned home that night after a full day at the Home and Garden Show, I cracked open both the egg from the processed grain and the new egg on our grain and placed them in the same bowl. The results were remarkable as shown in the photo below. 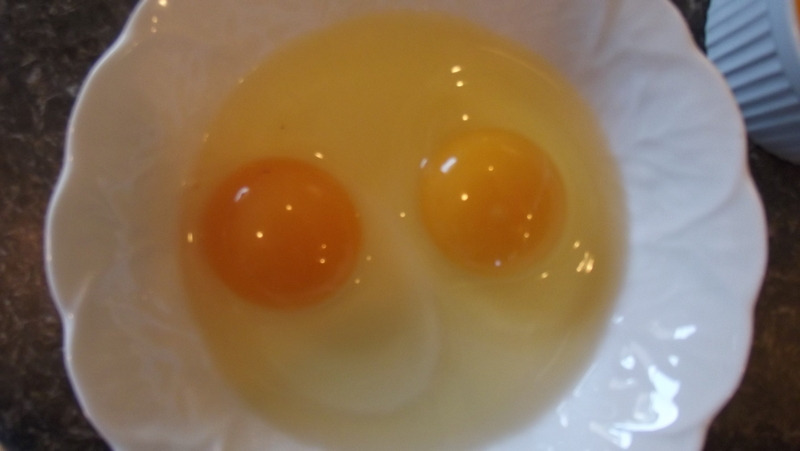 The yolk of the egg from an organic, Non-GMO feed vs. the other was markedly richer and deeper. 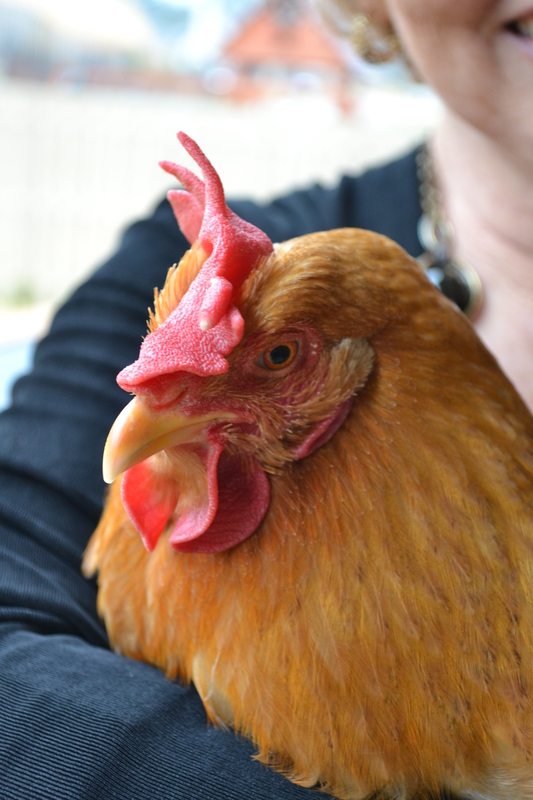 So if you think what you feed your hens does not make a difference…think again. Chicken stock is always better made while you are cooking a whole chicken to remove the meat for another dish. However you make it, you must use the bones. That’s where the flavor is! Resist the urge to add salt. As the stock cooks, the flavors concentrate. You can add salt as you cook your other dishes using this stock resulting in just the flavor you wish! Place butter in Dutch oven or large sauce pan and melt on med-high heat. Add onion and sauté until onion is translucent. Add flour to onion and butter, stirring constantly until flour cooks. About 2-3 minutes. Whisk in chicken broth, cream and white wine and cook until thickened. Carefully stir in chicken, carrots, zucchini, tarragon, salt, and pepper to creamed mixture. Adjust seasoning if desired. 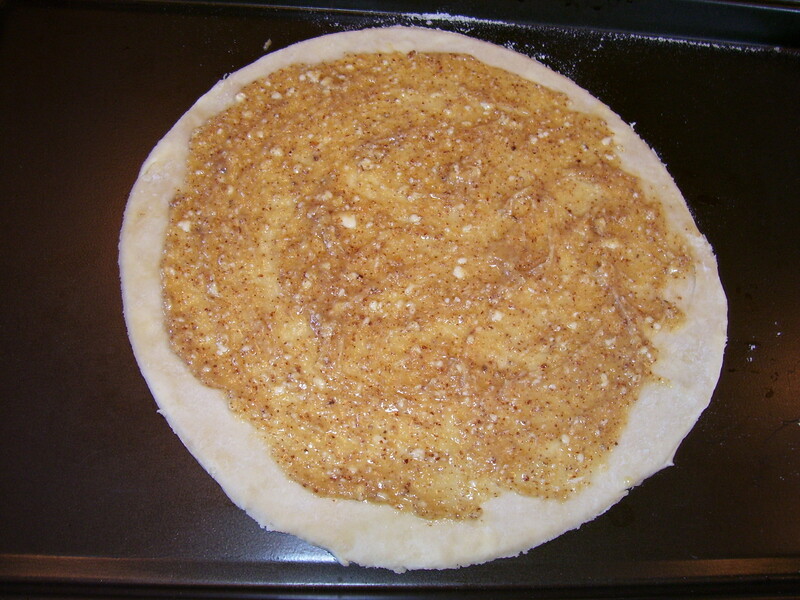 Bake at 350 for 20-25 minutes until crust is browned slightly and filling hot and bubbly. Serve with a fresh green or fruit salad on a cold winter night. Delicious! Why purchase a pie crust when this flaky crust can be made in a few moments at home, using ingredients that are readily available? Egg white, diluted with small amount of water, can be brushed onto pie crust if desired. *Can also be made in a food processor. 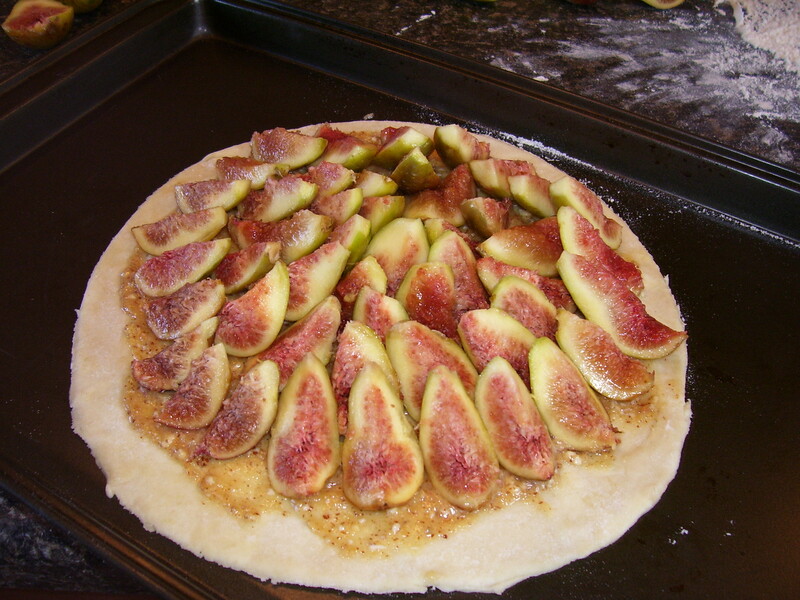 In a few minutes you can have a beautiful fig tart ready for the oven that will knock even the pickiest of fig eaters off their feet! 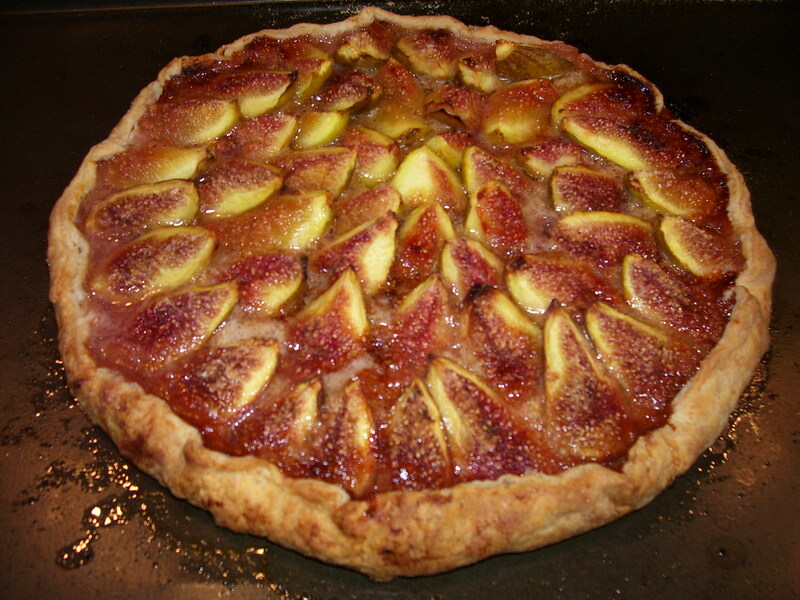 Yield: 1-10 inch tart to serve 6-8 people, or 1 greedy one!